Instafunds - formerly known as PAMO (picture and money organizer) - is not only the perfect replacement for your paper checkbook, but it is also the perfect place to keep up with identifying what you bought with each transaction (i.e. 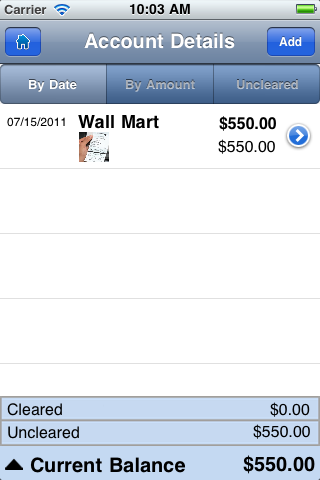 check, receipt, picture of the purchased item from the store) by allowing you to take a photo per transaction. When dealing with finance, things can get complicated. People want to be able to easily keep up with their money. After all, overdraft and a bank's overdraft fees can be the absolute worse! So what is your income? What about expense? How much did you spend at the store after you went shopping, and after that purchase, what is the new balance in your bank account? 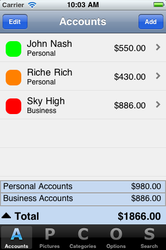 InstaFunds is a checkbook that makes it simple to manage your money. 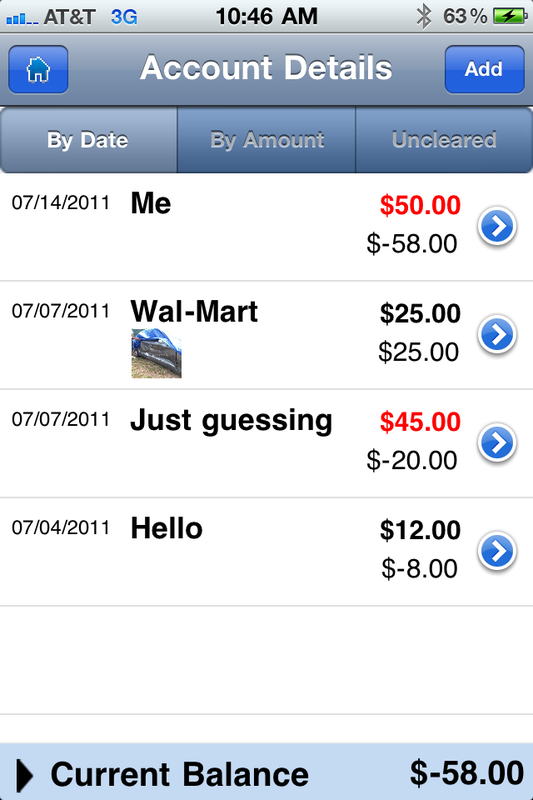 In addition to being a great organizer for your money, InstaFunds's image capture/camera function is also a plus. Think about all the receipts that you have stored away "just in case" you will need them. Now, with InstaFunds checkbook, simply take a picture with each transaction (rather it be a picture of your receipt, a check, product purchased, or one of the other endless possibilities) and reference that image with the option of also printing it off or e-mailing it to yourself whenever you need to do so. 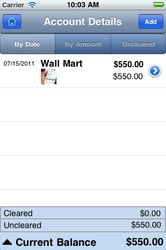 - Our optional picture feature per transaction is a great way to be able to reference back to what you bought (i.e. taking a picture of the product), receipt (i.e. 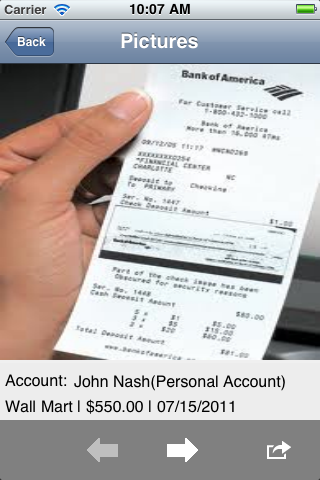 taking a picture of your receipt), checks (i.e. 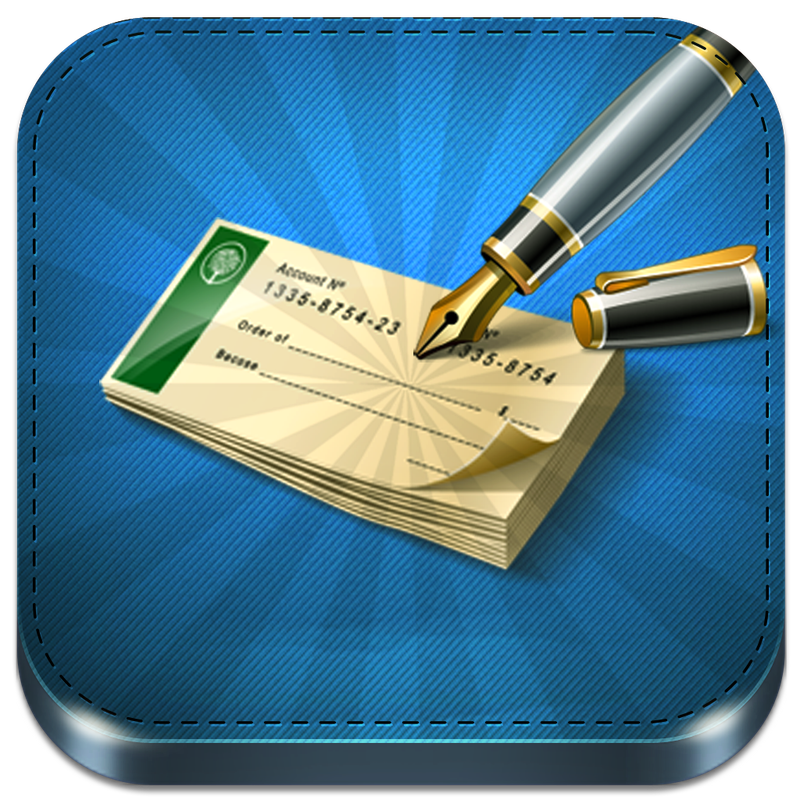 taking a picture of a check you have received or written to someone else), and other endless reasons to use our picture feature. - E-Mail yourself your transactions. Now you have a record of your finances on your mobile device and on your computer. - One account, unlimited transactions. (Upgrade for unlimited accounts.) 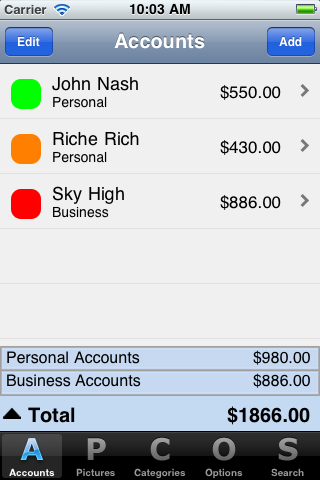 In addition, we allow you to separate your personal and business accounts (if you are interested in using both). There is no longer a need to have two separate apps for your business and personal accounts because InstaFunds allows you to be able to separate the two within one app. 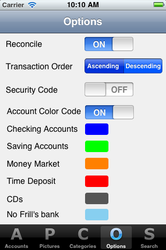 - Color codes per account type. 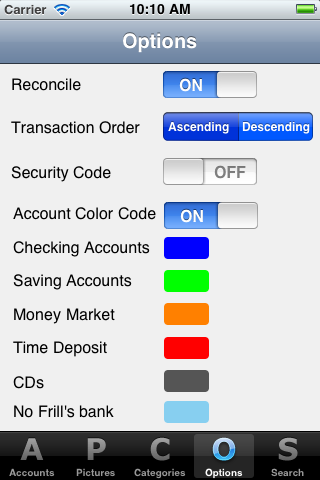 Be able to identify your accounts with a color (this is optional). For example, you may assign blue to your checking accounts, green to your saving accounts, and red to your money market account. - turn Security Code on or off. If your Security Code is on, you must enter a 4 digit code in order to access your accounts. - Search feature to easily search through your transactions in all your accounts. Search by name, amount, or date. 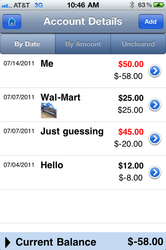 - Print off transactions. This includes printing off the picture that has been taken/assigned to each transaction.